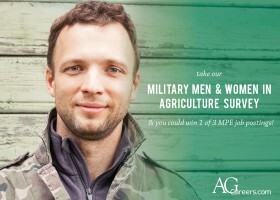 If you are familiar with AgCareers.com, you likely know about our Ag Warriors program devoted to encouraging agricultural employers to actively seek and hire military veterans. You may have also attended our 2015 Roundtable which featured a military recruitment add-on workshop. 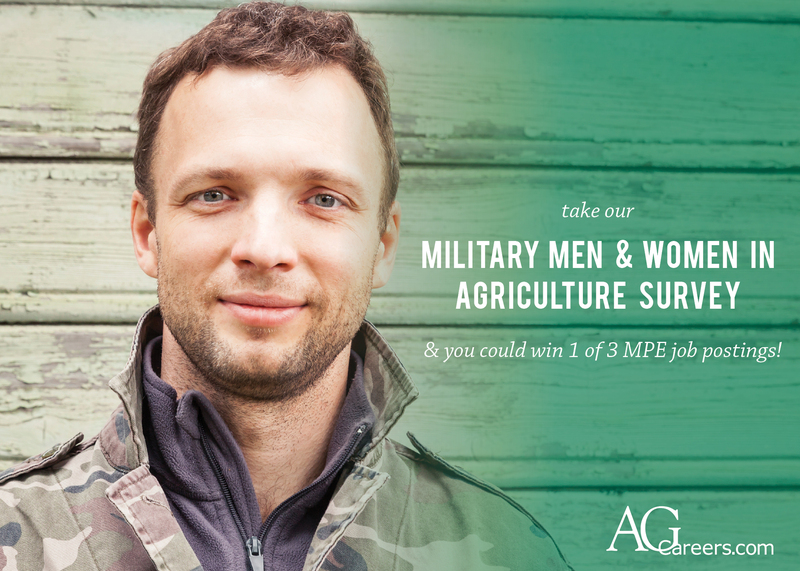 While we think that military veterans are valuable assets to the agricultural industry due to their skills and qualities gained through military service, it seems that many agricultural employers are unaware of this untapped potential. Luke Vance, a sergeant in the Army Reserves and a contractor with DuPont Pioneer, has mixed feelings about the receptiveness of the agricultural industry toward recruiting and hiring military veterans. “I think that the agricultural community has been somewhat receptive to veterans. I don’t feel that the ag community is that proactive about going out and recruiting veterans, maybe out of fear of veterans leaving again,” said Vance. Recruiting for your openings can be difficult, especially when you are an ag company looking for students without agricultural backgrounds or degrees. When your entry-level accountant position is open, do you really need an employee that understands the industry, or just a really good accountant? 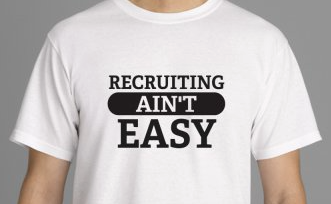 Now finding recruiting strategies that do not cause you to have two separate recruitment strategies or spend twice as much money on your recruitment needs can be a little difficult. However, you will be amazed at how AgCareers.com can be a resource for non-ag students! In 2015, 35% of our applicants held a non-ag degree and 41% of applicants were currently in a non-ag related occupation. 1. Look into attending non-ag career fairs or entire college career fairs. This allows you to interact personally with those students. A new option that we are launching this fall is the AgCareers.com Virtual Career fair. With over 35% of our job seeker community not currently in or with a background in agriculture you can interact with them from your desk. No travel fees, or wasting excessive amounts of time makes a virtual career fair the perfect place to recruit! 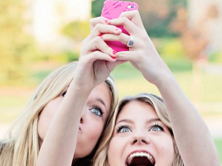 Who is Generation Z? My Wife & I Have Three of Them! As the Millennials now enter their mid-20’s and 30’s, it’s time we begin to shift some focus towards the new generation that is just beginning to graduate college and enter the workforce – Generation Z, those that were born between 1995-2010. As I began to prepare this blog I suddenly realized that my wife Sharon and I have three of this generation in our household (two sons and a daughter); well, one now a freshman in college. So here’s my disclaimer – I’m preparing this based on my experiences not only with my own children but also observations of all their friends and a bit of research. Generation Z could also be called the world’s first “Digital Natives” – meaning these human beings cannot recall a time without technology and particularly social media, of which no doubt has had a huge impact on their world view and has shaped how they accomplish key life tasks! Twitter is the avenue my 19-year-old son used to find his roommate at VTU. While many Gen Z’ers have a Facebook account and occasionally stalk others, they much prefer Twitter and even more so Snapchat. It’s taken me a while to understand Snapchat and I don’t even have an account. I find it interesting that I will catch my kids taking a Snapchat (nonchalantly) with me in the pic with them; sometimes while I’m driving. It took me a while to realize that is their way of sharing with their friends that they are with mom or dad. Z’ers are very intrigued with short communication and pics that represent their activity or events for the day…and they love emojis! We know from our internship research that almost 75% of agricultural companies formally review their interns. 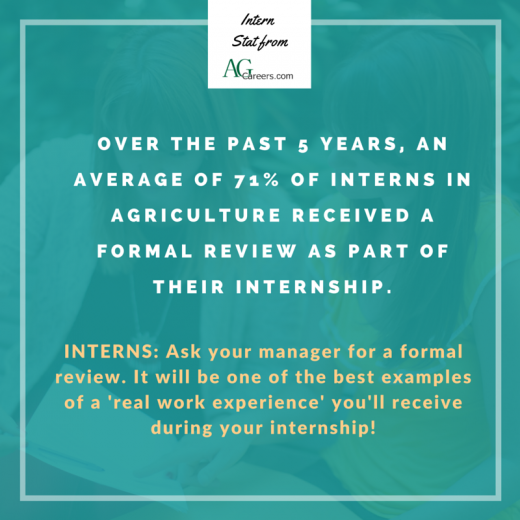 Likewise, interns say one of the ways to improve an internship program is by giving performance reviews! 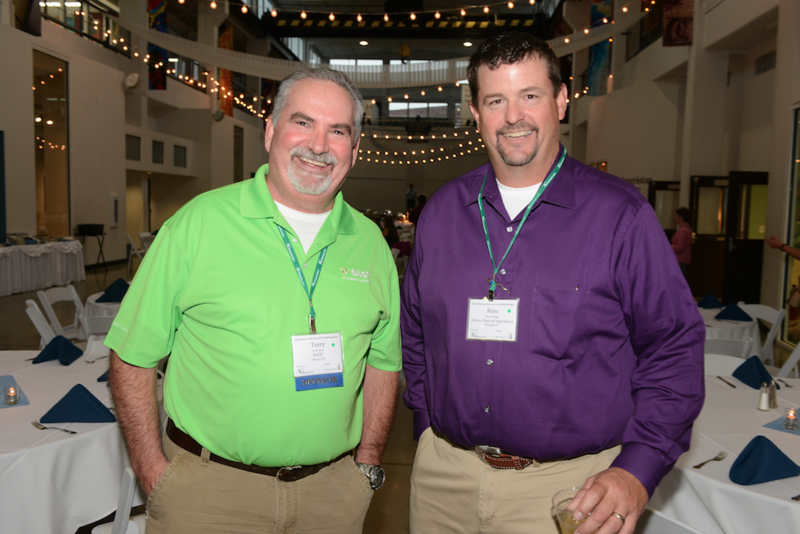 Historically, agricultural employers such as human resources professionals, recruiting and hiring managers have been the bulk of attendees at each Ag & Food HR Roundtable. This year, we look forward to seeing more than 100 in attendance along with collegiate career services professionals and association representatives from strong agricultural organizations such as FFA and AFA. The countdown is on! 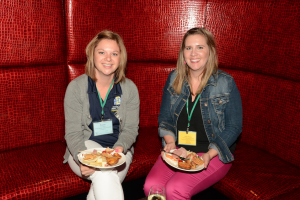 With less than a month to go before the AgCareers.com Ag & Food HR Roundtable, it’s time to get those last-minute registrations in to guarantee your spot to this fun, educational networking event held in Des Moines, Iowa August 2-4, 2016. The Ag & Food HR Roundtable is an incredibly unique event tailored to all parties involved in the active recruitment and retention of North America’s agricultural workforce. This event sees all kinds of professionals in human resources, recruitment, college career services and agricultural associations from all industries come together to bond over the common issues we face and how we can work together to continue to build the agricultural industry. As mentioned, career services personnel from universities, colleges and community colleges across the United States and Canada are a crucial part of the Ag & Food HR Roundtable, as major agricultural companies and association representatives are eager to connect with them in order to better their recruitment efforts. University professionals also take advantage of gathering with agriculture-specific career services professionals to share strategies and explore solutions to problems with one another. 1. This first one is not rocket science but I honestly feel like many employers forget that this tool is in their toolbox. Previous candidates. Not to be confused with previous employees, which is another creative method. If you are using an applicant tracking system or just a folder of resumes on your desk check back through those resumes! In some cases, they weren’t a fit and they won’t be a fit, but others may have just applied to the wrong job or timing wasn’t right. Maybe they turned down your offer for another that hasn’t turned out so well. No one wants to be the second fiddle but we all like to be given a second chance! 2. References. Not your own, but the ones who’ve helped you find the great employees you have now! Great people surround their self with other great people and you don’t know until you ask. If someone has served as a reference for someone else, they’re probably the type of person who is keeping their eye open for others. Reach back out to those references and make sure they know about current openings you have. Lauren Shotwell, AgCareers.com’s HR Services Account Manager, started as an intern for the company in the summer of 2010 and it developed into a full-time career. Now in her fourth year with the company, the North Carolina native works from a home office in Richmond, Virginia and has an exciting history to share. I help with finding new business and interacting with inbound requests in regards to our salary survey. I reach out to potential clients who might be posting on the job board site and try to cultivate that new business. I also help with special projects on the HR side. Currently, I’m helping with our HR Review survey. My job involves a lot of email follow-up, doing demos of the database, and answering any questions clients might have. I really like our company culture and the family atmosphere that we have. I feel like we’re all one big family and it makes working here a lot more enjoyable when you like who you work with. Everyone is willing to help each other. I worked in the government realm before this and it wasn’t like it is here. We all have each other’s back. Be prepared to think and recruit outside of the box. Look at the other service options we have instead of the traditional one job posting. Talk to your account manager and learn how to leverage the AgCareers.com suite of products to make your posting stand out to our community.